Gingras, Y. Bibliometrics and Research Evaluation. Uses and Abuses, MIT Press (2016) 136 p.
The research evaluation market is booming. “Ranking,” “metrics,” “h-index,” and “impact factors” are reigning buzzwords. Government and research administrators want to evaluate everything—teachers, professors, training programs, universities—using quantitative indicators. Among the tools used to measure “research excellence,” bibliometrics—aggregate data on publications and citations—has become dominant. Bibliometrics is hailed as an “objective” measure of research quality, a quantitative measure more useful than “subjective” and intuitive evaluation methods such as peer review that have been used since scientific papers were first published in the seventeenth century. 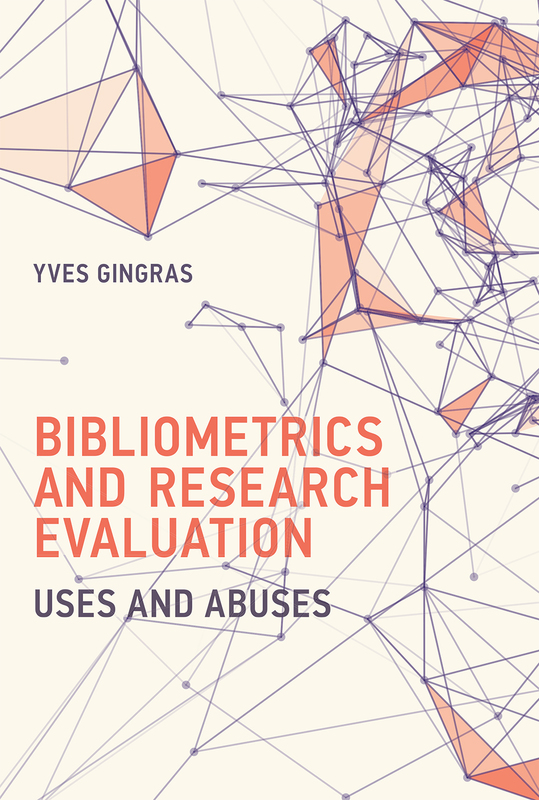 In this book, Yves Gingras offers a spirited argument against an unquestioning reliance on bibliometrics as an indicator of research quality. Gingras shows that bibliometric rankings have no real scientific validity, rarely measuring what they pretend to. Although the study of publication and citation patterns, at the proper scales, can yield insights on the global dynamics of science over time, ill-defined quantitative indicators often generate perverse and unintended effects on the direction of research. Moreover, abuse of bibliometrics occurs when data is manipulated to boost rankings. Gingras looks at the politics of evaluation and argues that using numbers can be a way to control scientists and diminish their autonomy in the evaluation process. Proposing precise criteria for establishing the validity of indicators at a given scale of analysis, Gingras questions why universities are so eager to let invalid indicators influence their research strategy. Ce contenu a été mis à jour le 15 octobre 2018 à 15 h 47 min.